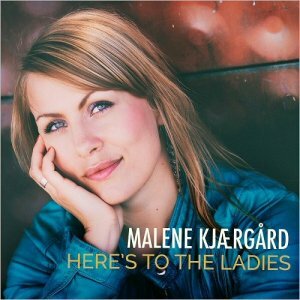 Jazz vocalist Malene Kj?rg?rd was born in Copenhagen, but raised in the suburb of Kolding. Malene's childhood was filled with music, theater and arts of all kinds. In 2007 Malene moved back to Copenhagnen where she performs as a singer in many different collaborations. In november 2012 Malene got the 2. place in DPA's competition "Young Jazz Composer of the Year" with her composition "Temporary Love Affair". In april 2013 Malene's debut album "Happy Feet" was released at Calibrated Music. Songs from her CD are being played at the Danish National Radio Jazz Channel P8, and she was the 3rd most played artist in october 2013 with the song "Undecided" from her debut album. Malene is educated as Singer and Vocal Coach from Complete Vocal Institute in Copenhagen, she has studied acapella vocal improvisation in NY, Hawaii, Italy, Holland and Denmark and she teaches singing students on a daily basis.